Tonight at sundown is the Jewish Holiday of Yom Kippur, The Day of Atonement. 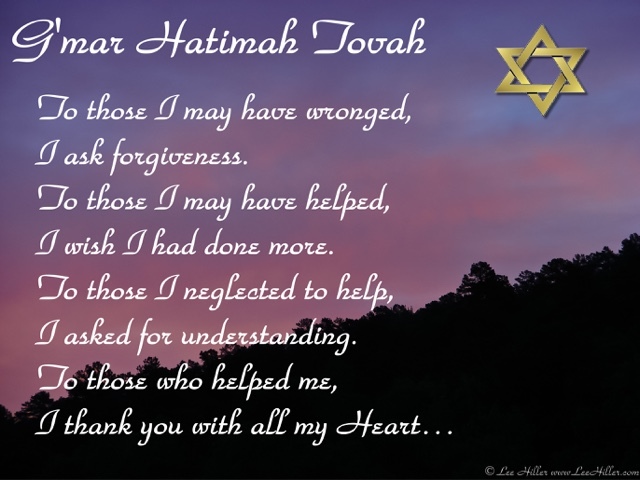 It is the holiest Jewish day when as a community you ask for forgiveness for sins committed against G-d. It is said that on Rosh Hashana (the Jewish New Year), G-d determines your fate the year and writes in the Book of Life. And on Yom Kippur, the book is sealed. So for 10 days between Rosh Hashana and Yom Kippur, you are asked to ask for irgiveness from the people for whom you have wronged. It means you can't pray all your sins away, at least those committed against people. For me, giving forgiveness is easy but asking for it is difficult. Is it pride? Is it self-righteousness? Is it fear? I'm not sure. So I post the graphic above to ask for forgiveness from my friends on social media and hope that I'm forgiven. It is also said that if you are not given forgiveness, you should ask twice more. After the third attempt, G-D will grant you forgiveness. But for me, the most difficult thing is to forgive myself. And to give myself the permission to be imperfect. So to all that I have wronged, I ask for forgiveness, and that includes me. 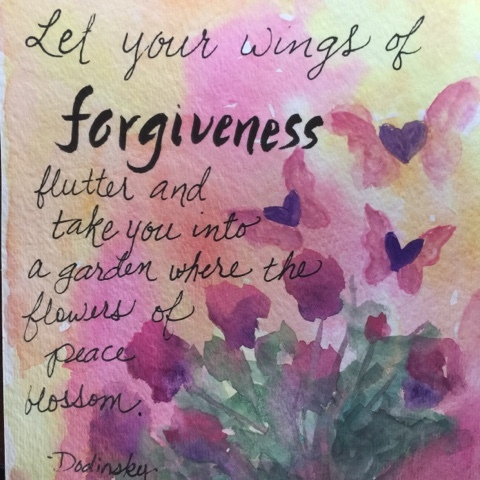 I've been reading about different concepts of forgiveness today. Will be a fun discussion! Thanks for commenting!